Lage und Aufteilung der Wohnung sehr gut. Stadt sowieso immer wieder super! This fabulous apartment is situated in one of the most central avenues, Gran Via de les Corts Catalanes and is located in a centenary building, part of the sensational architecture of this time, and typical of the Eixample district of Barcelona. Its fantastic location and its characteristics will make your stay very enjoyable, whilst being surrounded by the exceptional tourist attractions of the city. 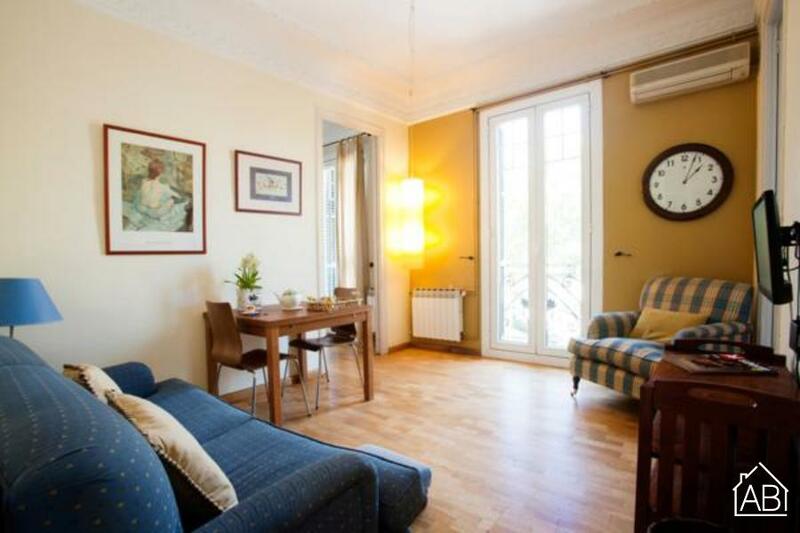 This comfortable, 90m2, three bedroom apartment in Barcelona is located in the beautiful ´barrio´ of Eixample Left. It is located on the third floor of the building and can be reached with an elevator. It is well connected to the city centre with the nearest metro station just a couple of minutes away. It is also surrounded by an array of restaurants and cafés on the tree lined streets, and is very close to Plaça Espanya and the Fira de Barcelona congress centre, making it an ideal spot for those visiting the city for business or pleasure. Less than 300 meters from the apartment you will find a lot of shops and restaurants in Las Arenas, an old bullring transformed in a shopping center. This apartment is in an ideal location for exploring the city on foot. This apartment can accommodate six people with three comfortable bedrooms available, all of them with a balcony. The master bedroom has a double bed, bedside tables and wardrobe. The second bedroom also has a double bed and wardrobe. The latter consists of two single beds and a big closet. The apartment also has two bathrooms, one of which is a full bathroom and the other one is a W.C. The living room is welcoming as it has a balcony. It has a comfortable sofa, a TV and there is also an Internet connection. Get inspired in the fully-equipped kitchen and prepare some Mediterranean style dishes in this home-away-from-home. For an all-round Barcelona experience, this pleasant apartment, complete with heating and air-conditioning, is the ideal base for your Mediterranean adventure any time of the year!